Time flies! 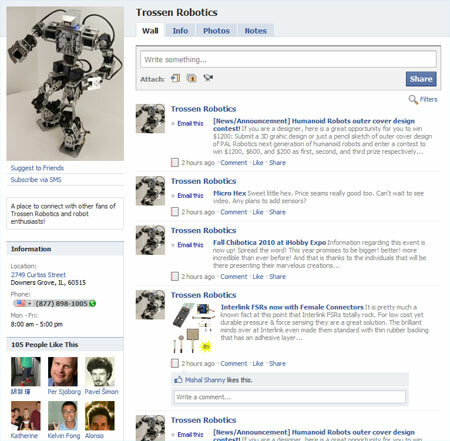 It’s that time again to officially announce the next Trossen Robotics DIY Project Contest. We’ve had a ton of incredible entries in past contests. Because it’s been so long since our last contest, we’ve decided it was time to start showing off some of the work that has kept us so quite by giving away one of our very own Interbotix Hexapods! The goal of our contests have always been to inspire technological creativity, innovation and ingenuity through these talented individual’s unique projects. We invite everyone to help spread the word about this contest announcement to help encourage others to show off their talent.